The Mazzer Mini E is an electronic grinder with flat blades suitable for low consumption (decaf, single-origin coffee). 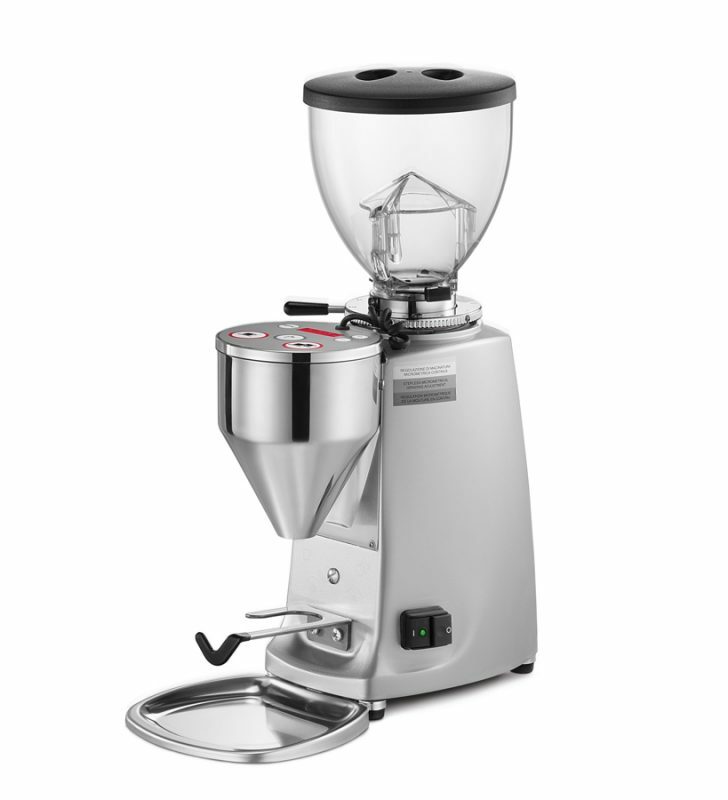 It also features Stepless micrometrical grinding adjustment and a digital display with shot counter. The Mazzer Supper Jolly is a flat blades grinder suitable for cafes producing under 5kg’s a week or is a great option as a second grinder for single origins and decaf. The motor is 100 watts bigger than the mini which enables a quicker grind. Other features include Stepless micrometrical grinding adjustment to ensure grind adjustments are easy and fast. On-demand grinding with electronic dose adjustment provides consistent dosage every shot. This unit provides single and double dose with independent adjustment. Digital display with shot counter. 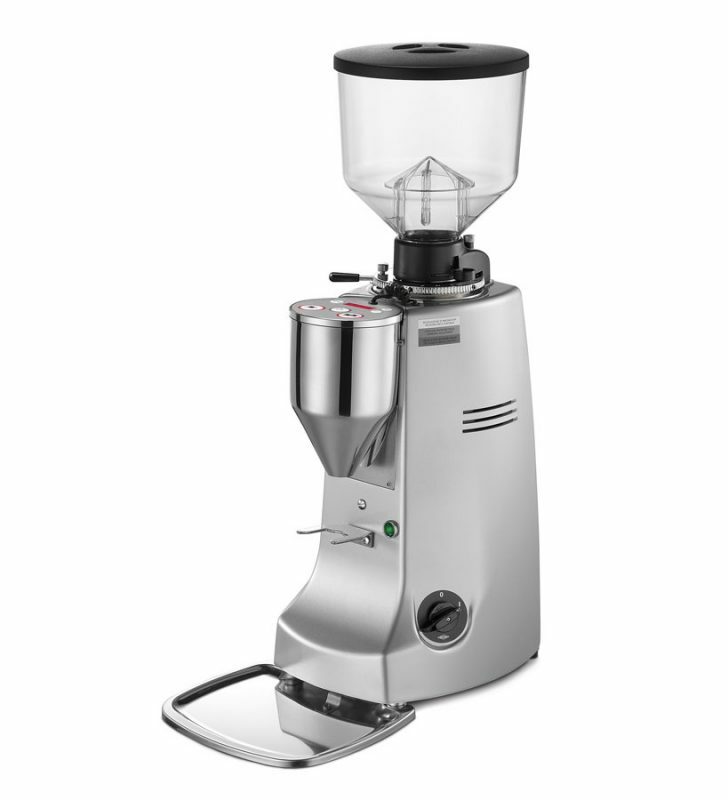 The Mazzer Major is a flat blade grinder suitable for café’s consuming 10-15kg per week. Mazzer Major Electronic features include a stepless micrometrical grinding adjustment ensuring easy and consistent adjustments to grind size. On-demand grinding with electronic dose adjustment and single and double dose with independent adjustment. The digital display with shot counter is high quality, easy to read and durable. The Major also adds the ventilation device with electronic control to keep the motor cool. Grinding blade speed: 1400 r.p.m. The Mazzer Robur Electronic grinder is the largest of the Mazzer range and is different from the Kony due to the size of the motor and different from the Major with the introduction of conical blades. With the addition of these blades the speed the blades need to rotate to grind large quantities of coffee is reduced. Conical blades enable a faster grind than flat blades due to the different cutting process and with the reduced speed of the blades less heat is distributed over the coffee. 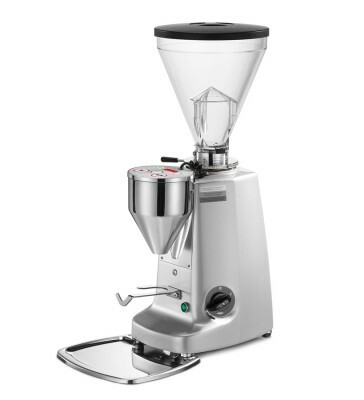 Suitable for café’s consuming 20kg+ per week the Mazzer Robur features stepless micrometrical grinding adjustment ensuring easy and consistent adjustments to grind size. On-demand grinding with electronic dose adjustment and single and double dose with independent adjustment. The digital display with shot counter is high quality, easy to read and durable. The Kony also includes the ventilation device with electronic control to keep the motor cool. The Mazzer Kony Electronic grinder differs from the Mazzer Major with the introduction of conical blades, the motor size has also been decreased and the speed slowed down. Conical blades enable a faster grind than flat blades due to the different cutting process. The Mazzer Kony can be used in café’s consuming 10-20kg per week. Mazzer Kony features include stepless micrometrical grinding adjustment ensuring easy and consistent adjustments to grind size. On-demand grinding with electronic dose adjustment and single and double dose with independent adjustment. The digital display with shot counter is high quality, easy to read and durable. The Kony also includes the ventilation device with electronic control to keep the motor cool. Grinding blade speed: 420 r.p.m. 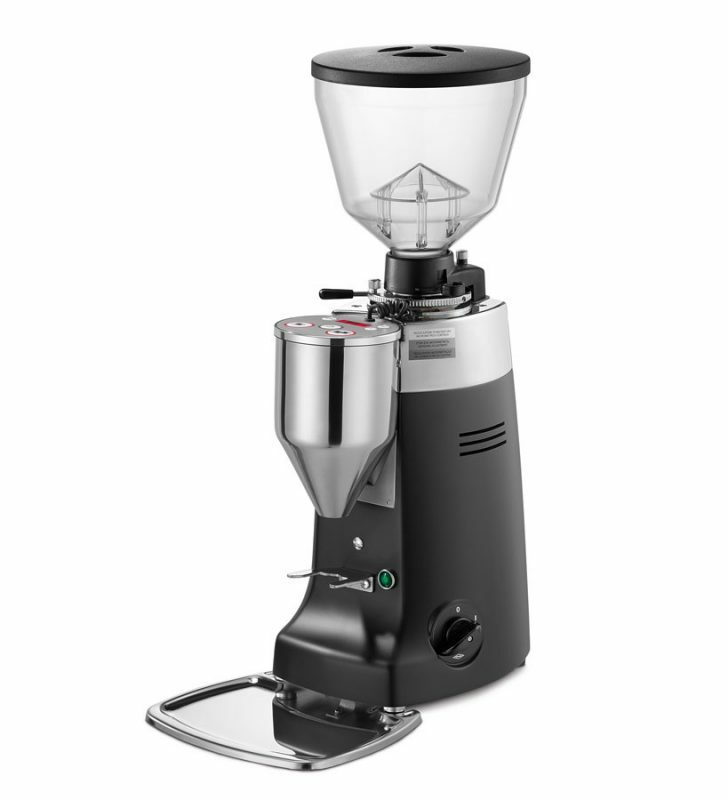 Manufactured in Venice, Italy, the Mazzer coffee equipment company has become a world-recognized coffee grinder maker over the last few decades. 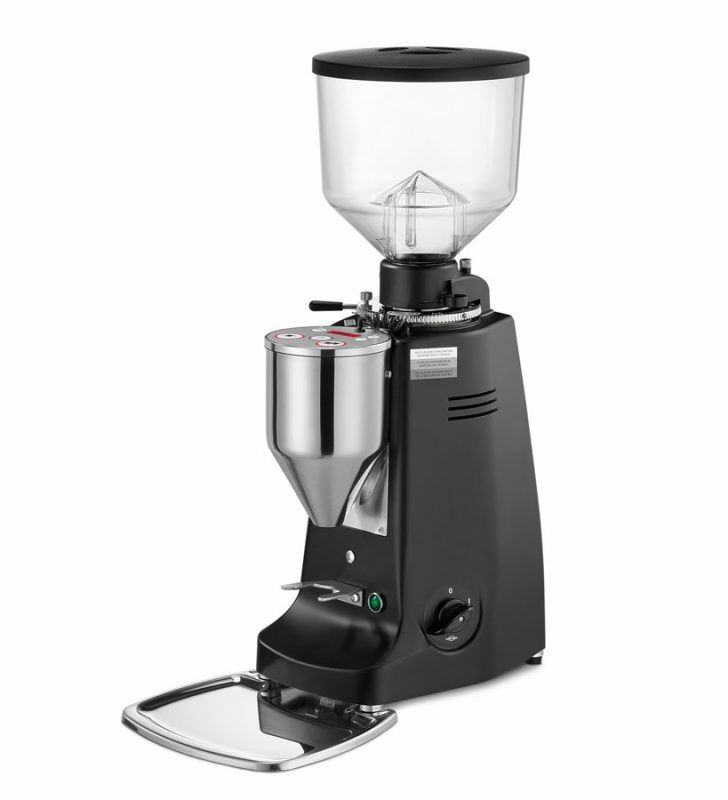 Mazzer grinders are built with quality materials, strong burrs, and forward-thinking technology. Browse the collection of Mazzer coffee grinders available at Xtracted and feel free to get in contact with our friendly team if you have any questions regarding this popular range of coffee grinder. Why Choose Xtracted for Your Espresso Grinders? Xtracted consists of a team of coffee lovers. You can be sure that we have gone through a rigorous process of research and testing all our brands to ensure the product is suitable for Australian market. We truly care about the quality of our equipment. Therefore, the coffee equipment available at Xtracted are what we believe to be the best available on the market – coffee machines and grinders Australian baristas can be proud to produce coffee behind.